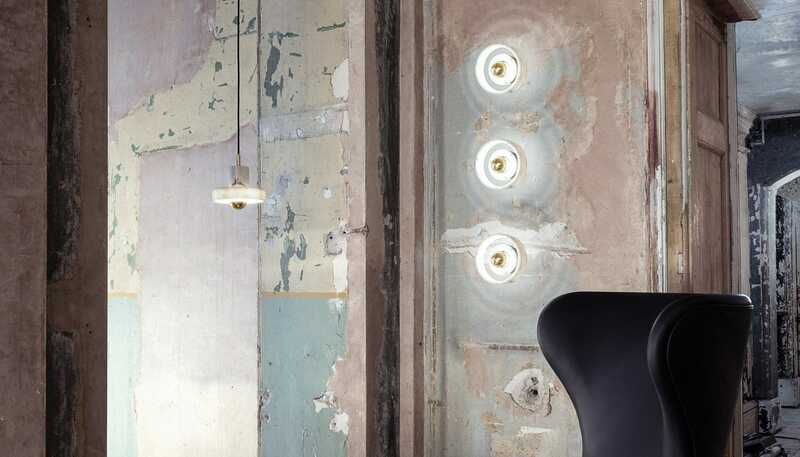 Illuminate your interior with this striking wall light from British designer Tom Dixon. 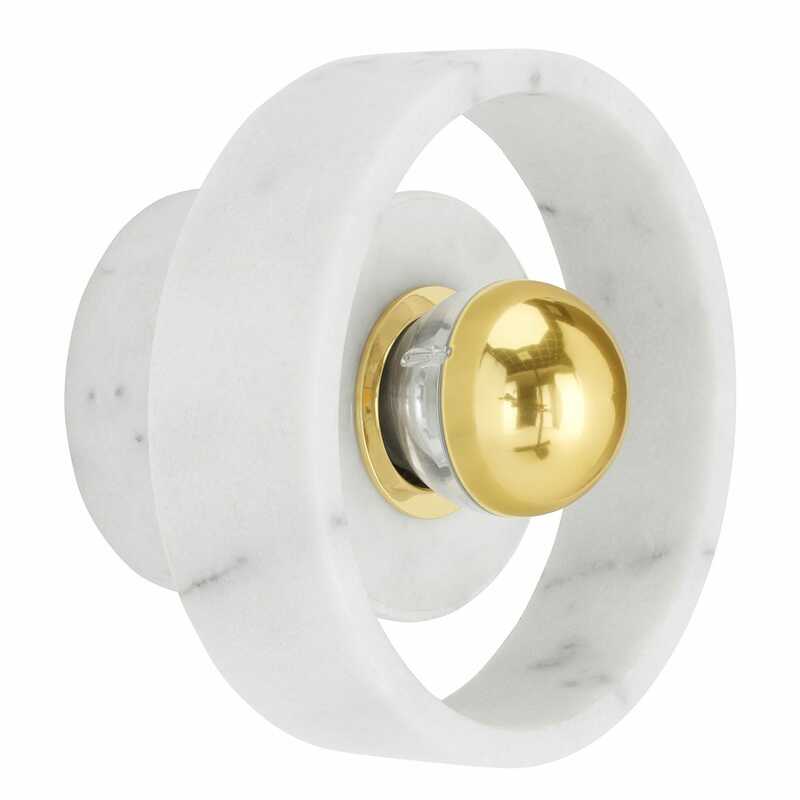 The stone wall lamp has been designed to showcase the intricate patterns found within white marble and add a warming ambience to its surroundings. 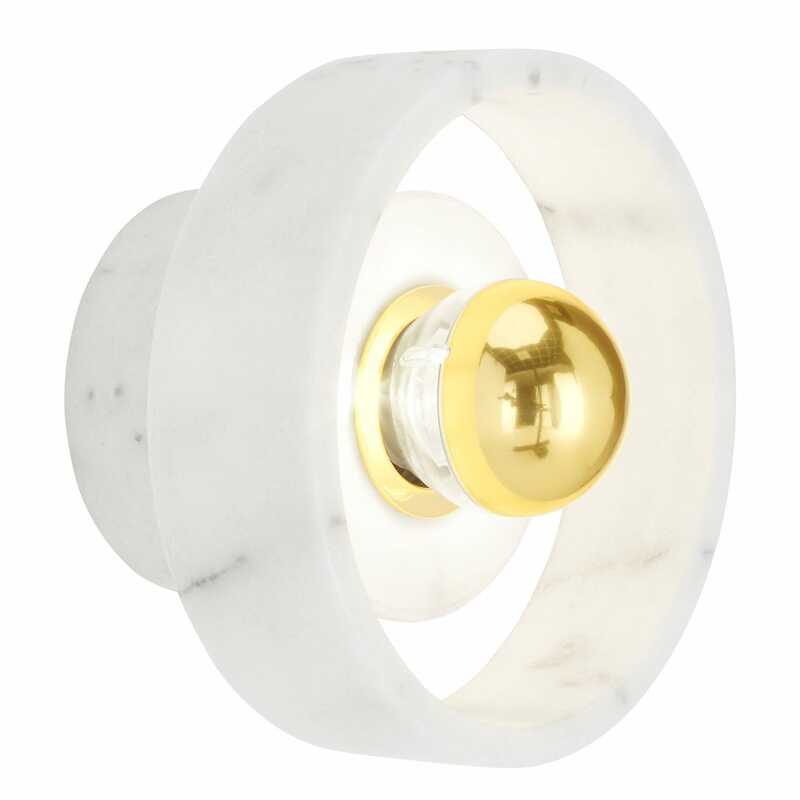 This opulent wall light is carved from semi-precious Morwad marble. 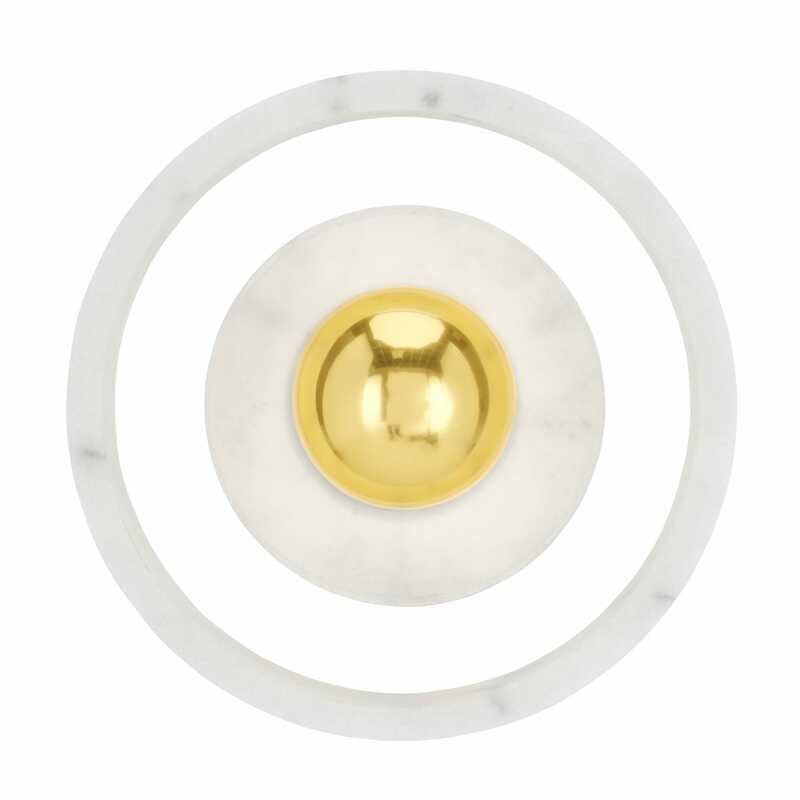 The Cylinder light fitting and ring are joined by concealed glass to give the appearance that the shade is floating in orbit whilst the light is gently diffused through the opaque marble surround to create an illuminating display. 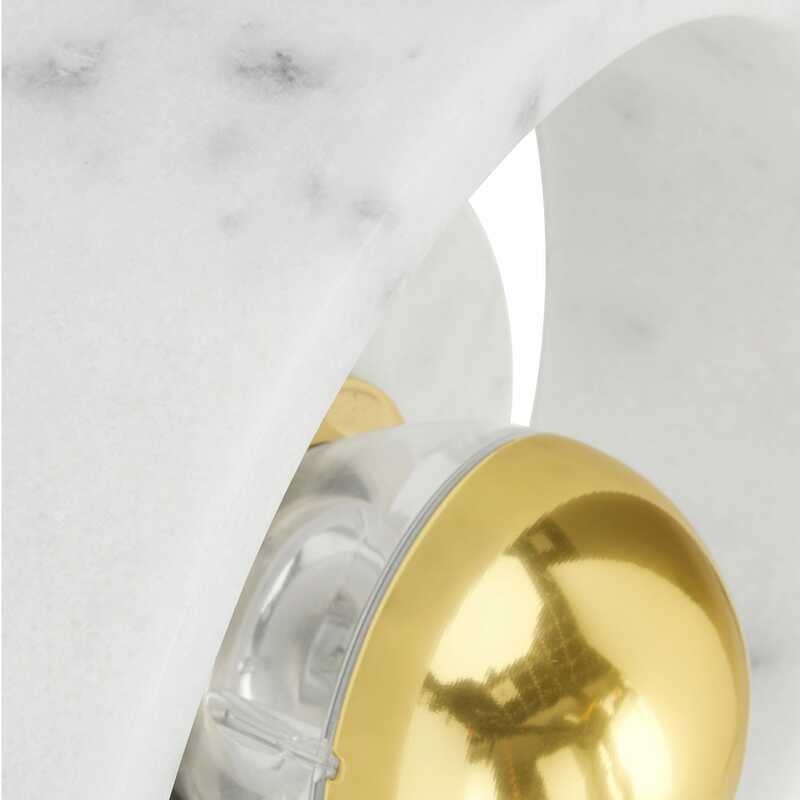 Finished in Tom Dixon’s trademark of opulent brass detailing the stone wall light is perfect for creating an ambient environment.